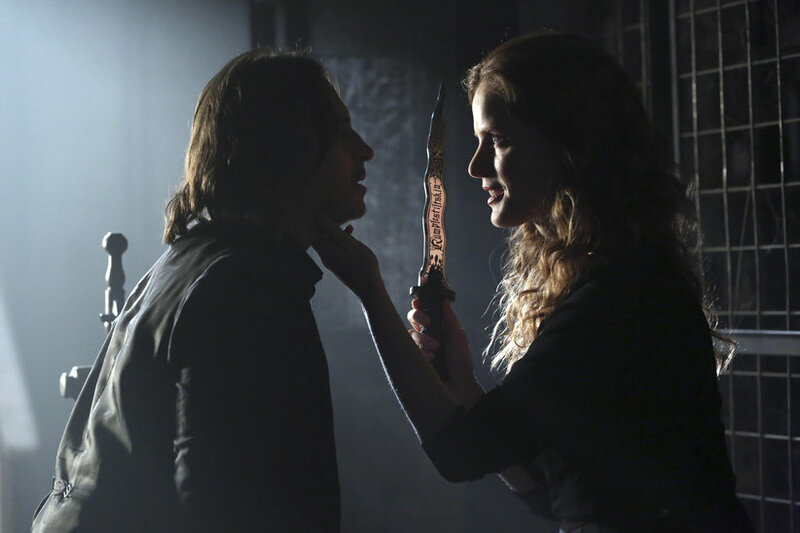 It’s Not Easy Being Green – Rumplestiltskin is still Zelena’s slave. Zelana is feeling very powerful controlling the Dark One. In fact, she decides to challenge Regina to a fight to the death. This shocks the Evil Queen because it reveals their family connection. In the town, it is time to lay Neal to rest. This is a very sad time. How do you think Henry will handle it? Back in the land of Oz past, Zelena is jealous. She decides to visit the Wizard and make a request. She asked to be sent to Fairy Tale Land after she discovers she has a sister. She is jealous because her sister is training with Rumplestiltskin. He teaches her how to become a powerful force to be reckoned with. Guest starring are Keegan Connor Tracy as Blue Fairy/Mother Superior, Beverley Elliott as Granny, Rebecca Mader as Zelena, David-Paul Grove as Doc, Gabe Khouth as Sneezy/Mr. Clark, Christopher Gorham as Walsh, Sean Maguire as Robin Hood, Rose McIver as Tinker Bell, Adrian Hough as woodcutter and Maria Marlow as wife. Next Next post: Is Neal Really Dead?